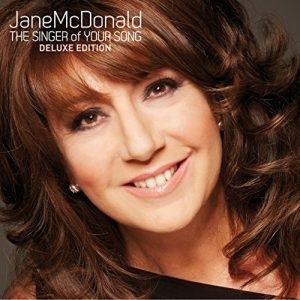 “The Singer of Your Song” is Jane’s 7th studio release and was recorded in London, Surrey and Prague. It was produced by Nigel Wright with Jane as executive producer. The album features 18 tracks including classics such as The Rose, God Only Knows, We’ve Got Tonight, Yesterday When I Was Young, If You Go Away and Love Is All. Plus 3 of Jane’s own compositions ‘When I Look At You’ and the title track ‘The Singer of Your Song’ which is a tribute to her loyal and dedicated fans plus the brand new song ‘I’ll Be There’.